If you own an Amazon Alexa-equipped device, like an Echo or the new Echo Dot, and have been eyeing an Android Wear watch like the Fossil Q Founder, today is your day. Amazon is hosting a daily deal for the $295 Q Founder with a stainless steel bracelet where you can buy one through Alexa for 35% off. At 35% off, you can have one shipped to you for just $191.75. That’s a $103.25 discount. 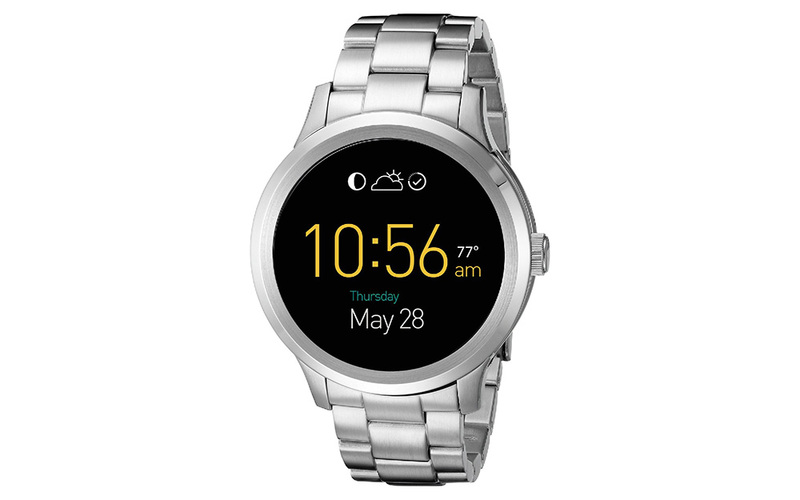 To get the deal, you just say to Alexa, “Hey, Alexa, buy the Fossil Q Founder stainless steel smartwatch.” She will then take you through the steps and confirm which version you want and if you want to buy it. As a recap, the Q Founder has a 47mm case and is 13mm thick, has 1.5-inch circular LCD display (360×326 ppi), Intel Atom processor, 400mAh battery, 4GB storage, WiFi, IP67 rating, and supports 22mm watch bands. By all means, it should be a quality smartwatch.